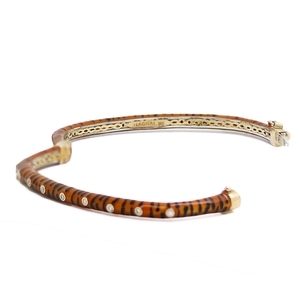 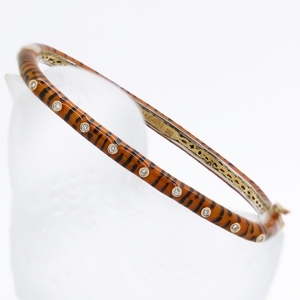 Tiger Stripe Enamel Bracelet With Diamonds at Reliable Gold in Providence, RI Reliable Gold Ltd. 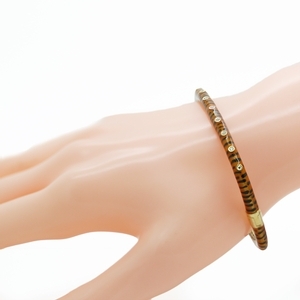 Fiery little number in this hinged bangle bracelet by designer Haggai. 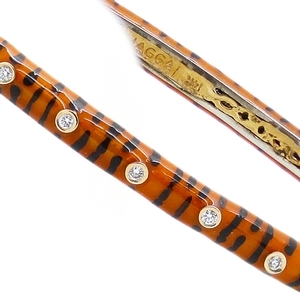 Tiger stripe motif enamel with 9 round bezel set diamonds, approximately .10 carats total weight in 14K yellow gold. 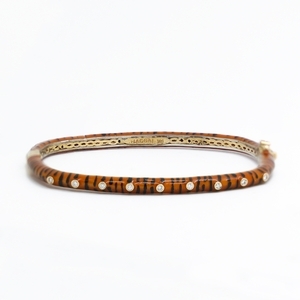 The perfect punch of personality for your wrist!